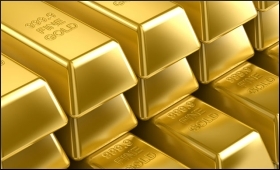 Trade tension between the US and China, uncertainty around Brexit and slowdown concerns have prompted investors globally to look for safe investments, one of which has traditionally been gold. In this backdrop, experts say that gold prices in India are set to gain further, ahead of the upcoming wedding season. "The recent revision of the global growth forecast to 3.5 per cent, from 3.7 per cent, by IMF further made investors watch out for the yellow metal and other risk investment assets. With the wedding season coming into the picture, physical demand for the metal shall keep the prices up," said Vinod Jayakumar of Karvy Commodities. For consumers in India, gold as an asset class is normally from a consumption perspective rather than from returns, Prathamesh Mallya of Angel Broking told IANS. While election may be a cause of uncertainty, Mallya said that neither gold consumption in India, nor the outlook towards gold from a prices perspective, is impacted by any change in government. Other major factors that have pushed the prices higher in the past are global slowdown concerns and the dollar-rupee equation. Economic indicators are already signaling a slowdown, which may worsen due to the uncertainty around Brexit. "Gold prices are already gaining momentum with these kinds of issues and have seen a very strong start in 2019, so far," said Vandana Bharti of SMC Global Securities. "Recently, the rally in gold was majorly fueled by the investment demand though we saw the trend has changed and the traditional physical buying has again come in demand." Moreover, inflows into global gold exchange-traded funds ( ETFs) are picking up gradually and may give further boost to the prices, Bharti added. Experts also said the prime factor behind the surge in gold prices was the dovish outlook of the US Federal Reserve.